How do we get to the Harry Potter studios? The Warner Bros Studio Tour is in Leavesden, about 16 miles north-west of InnLondon. Please note that you need to buy your tickets in advance. Underground train: Take the Bakerloo line tube (brown colour) from Kensal Green to Watford Junction. There is a train every 20 minutes leaving from platform 2 and the journey time is about 40 minutes. The busiest time at Kensal Green station is 08:00 - 08:45 Monday to Friday. 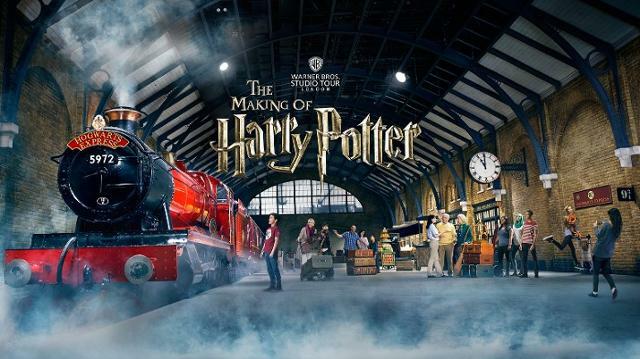 A shuttle bus, operated by Mullany's Coaches, runs from Watford Junction to the Studio Tour with a journey time of around 15 minutes. There is a £2 return charge for this shuttle bus service. You need to arrive at Watford Junction 45 minutes before the time stated on your Studio Tour ticket and have your ticket or booking confirmation ready when boarding the shuttle bus. The last bus departs from the Studio Tour 20 minutes before closing time which varies based on the day of your visit. Please check this with the driver when you alight the bus. A valid booking confirmation or Studio Tour ticket is required to board the shuttle bus service. Please ensure you have these to hand on arrival at the station. After passing through the ticket barriers, leave the station building and turn LEFT. Walk ahead towards the Bus Station keeping left. The special bus will depart from Bus Stop 3 in the Junction Bus Station. Just look for the Harry Potter Bus!